Moisture is one of the biggest enemies of property foundation, and as luck would have it, the material that surrounds the base of your house can absorb any kind of moisture. The single most important thing a person can do to improve the health of their foundation, thereby avoiding a wet basement, is to keep water away from the foundation in the first place. 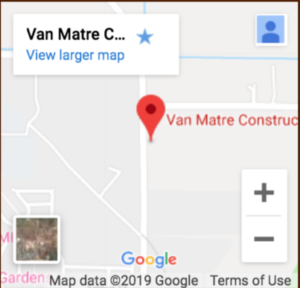 Whether you need an interior or exterior foundation drain, a surface French drain, cut-off drain, or just need your lot regraded so that precipitation can naturally flow away from your home, Van Matre Construction can help. If you have issues with a wet basement or crawlspace, and your exterior grading is in good shape, a foundation drain may be the solution you need. A foundation drain may be placed inside or outside your foundation, allowing ground water to collect in the horizontal drain, flow to a sump pit, and be pumped safely away from the home. The worst part about an exterior foundation drain is the disruption to landscaping. The installation requires excavation of the exterior of the foundation to the base of the footings (or wall if it is poured on drilled caissons). Once the wall is excavated, we clean the wall, inspecting for cracks that may need attention. Van Matre Construction uses only the highest quality materials: While other companies spray the wall with asphalt, we cover the wall with Cetco brand AquaDrain . The solid plastic backing ensures no water will make it to your foundation, the dimples give a clear path for water to fall to the horizontal drain at the base, and the geo-textile fabric adhered to the face ensure that the product will not clog with mud. This quickly takes water to the base of the drain system. At the base, Van Matre installs a perforated pipe, wrapped in geo-textile fabric, surrounded by a foot of gravel, and again wrapped in geo-textile fabric. The base drain slopes gently downhill to a sump pit where a high-quality cast-iron pump removes the water-pumping it away from your home. An interior foundation drain is placed just inside the foundation wall and footing, beneath the basement floor slab. An interior drain spares your landscaping, but does not allow for waterproofing of the exterior of the foundation wall. The foot wide swath of floor slab is cut and removed around the perimeter of the basement, and the underlying soil removed to the base of the footing, usually about 8”-10” from the base of the floor slab. Similar to the drain at the base of the exterior drain, a perforated pipe wrapped in geo-textile fabric is surrounded by gravel and wrapped in another layer of geo-textile fabric. The pipe slopes gently downhill to a sump pit where a high-quality cast-iron pump removes the water, pumping it away from your home. The floor slab is patched and the job is complete. Sometimes the drainage issue is not next to your foundation, but with a low spot in your landscaping collecting and holding water. If the topography makes gravity drainage impossible, a French drain or a cut-off drain may be what you need. A landscape drain’s anatomy is conceptually very similar to that of an interior drain, but may also incorporate drain inlet boxes, trench drains across hardscapes, larger diameter pipes, and other variations on the theme. Whenever possible, we like a landscape drain to discharge via gravity, but if that is not possible, an exterior pump pit may be necessary. We can fix problems caused by inadequate drainage and grading through foundation drains. If the grading is good, you just need to direct water away from your foundation to a sump pit. For moisture and water deposits that come from outside your home, we use exterior drains, which we’ll need to install through excavation. We dig the exterior of the foundation to the base of the footings, taking care to look for cracks that may need our attention. We use only the highest-quality products to ensure the best long-term protection for your foundation. We cover the wall with AquaDrain, a solid plastic backing that prevents water from seeping through. The backing also allows the water to go directly to the drains. This means that the water has a direct route from the soil to the sump pit away from your home. We use the same system for interior drains, which takes away the water and extra moisture from under your basement and directs it to a sump pit. We also utilize cut-off drains to redirect water flowing on the surface of your landscape. It’s the same system, but in some situations, a pump may be necessary. 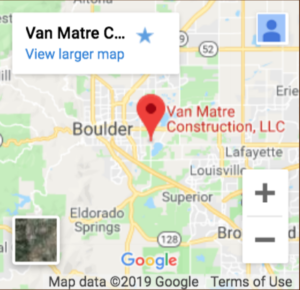 Van Matre Construction completes each project on budget and on time. Contact us today so we can get started on restoring the safety and value of your home.